 Wichita, Kan. – September 20, 2018 – In celebration of 25 years in business, Commerce Construction Services (CCS) has revamped the company’s logo and overall branding. The energetic, fresh colors and bold icon are indicative of its driven spirit as CCS embarks on a second quarter of a century as a proven leader in the local construction industry. CCS maintains strong client relationships in many fields including banking, healthcare, retail, industrial, and commercial office remodels. Their principled customer service has been a steady force in the local community of reputable business owners, commercial real estate professionals and architects. During the past 25 years, CCS has grown under the strong leadership of Doug Henning. CCS began as a true general contractor and remains as such through dedicated employees self-performing a wide variety of projects. CCS has four project managers and nine superintendents who also serve as full-time project supervisors – freeing customers from the stress of construction progression. Watch as Commerce Construction proudly launches its new dynamic re-branding on the company’s website, celebrates 25 years, and looks forward to a growing future.